I'm in such a dilemma right now alright. 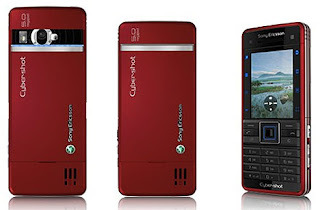 or the Sony Ericsson C902 phone. BUT, C902 has RED stripes ard it!! Haha, red attracts me, you know. I cannot sms using the LG phone dur class, cause its a touch phone and I have to look at what Im typing, PLUS, I might have a chance of getting banged by a car on the road, when Im smsing. I'm not very very into the functions and looks of the C902 too, cause its like, the fuctions are just pretty normal and bleah, nothing interesting abt it. Many people are starting to use this phone too. Don't really like phones which are too common, lol. 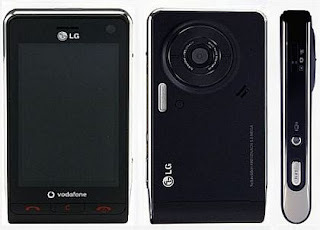 Anws,I heard that the LG's phone is lag too, BUT still, it LOOKS NICE!! I care more abt the look of the phone, more than the fuctions. But I'm a loyal Sony Ericsson supporter! 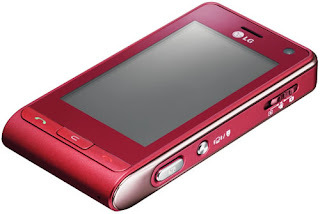 I saw a HOT RED LG VIEWTY phone when I was googling the images.